It's the summer holidays, the weather's great, and all the kids are having fun outside. So where's Greg Heffley? Inside his house, playing video games with the shades drawn. Greg, a self-confessed 'indoor person', is living out his ultimate summer fantasy: no responsibilities and... read full description below. It's the summer holidays, the weather's great, and all the kids are having fun outside. So where's Greg Heffley? Inside his house, playing video games with the shades drawn. Greg, a self-confessed 'indoor person', is living out his ultimate summer fantasy: no responsibilities and no rules. But Greg's mom has a different vision for an ideal summer - one packed with outdoor activities and 'family togetherness'. Whose vision will win out? 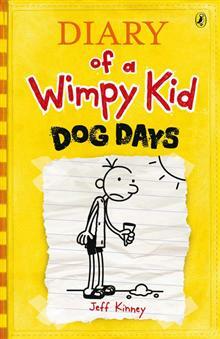 Or will a new addition to the Heffley family change everything?